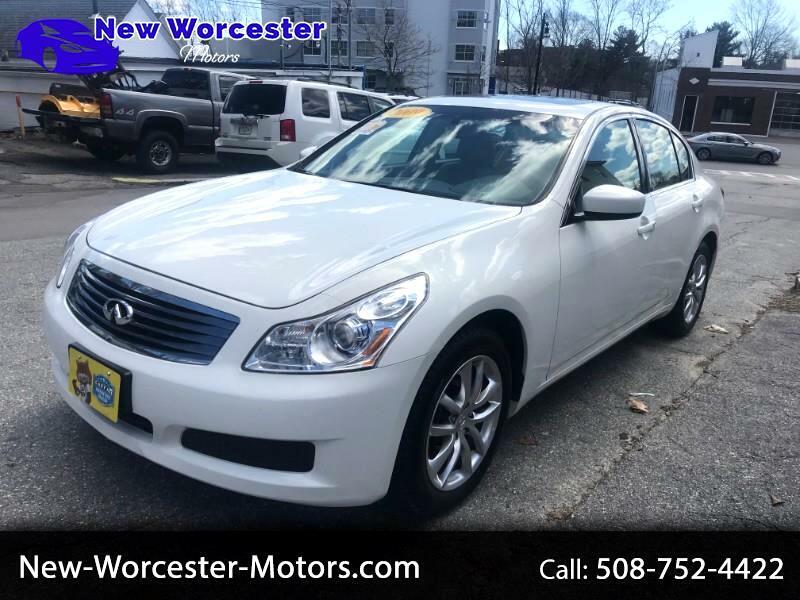 This 2009 Infinity G37x with Navigation has extremely low miles and is in excellent condition. Just traded from a personal family member, it has been fully serviced and ready for delivery. Equipped with Heated Leather Seats, Power Tilt/Sliding Sunroof, Push Button Start, 4 New Tires, Air Conditioning; Power Windows; Power Locks; Power Steering; Tilt Wheel; AM/FM CD/MP3; Satellite; Sentry Key; Keyless Entry; Alarm; Dual Front Airbags; Side Airbags; Head Airbags; Rear Head Airbags; Active Seatbelts; All Wheel ABS and so much more. Give Jason a call to schedule a time to come see and drive this vehicle.